We spent most of Sunday digging up the summer garden and getting it ready for the winter veg to go in. This is what it was. This is what is left. I will admit, SO did most of the work, I project managed. 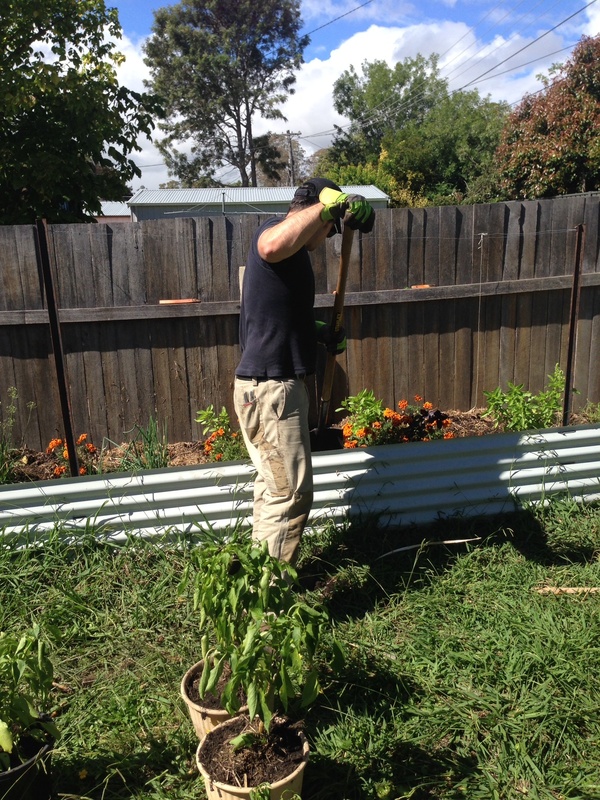 We transferred the compost and the old chook pen straw and poop and dug it all through. We’ll give this elixir of garden goodness a few days to settle in so when I plant my seedlings it’s ripe for the planting. 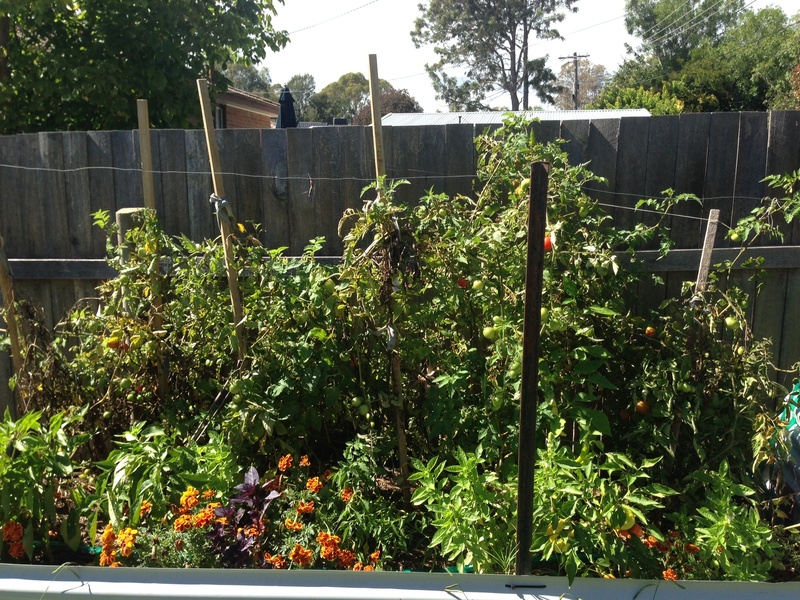 I left the marigolds, basil, garlic chives, and chives in, as I’m really keen to increase my “no dig” garden and see what unfolds over the next season. What will die over winter and what won’t remains to be seen. 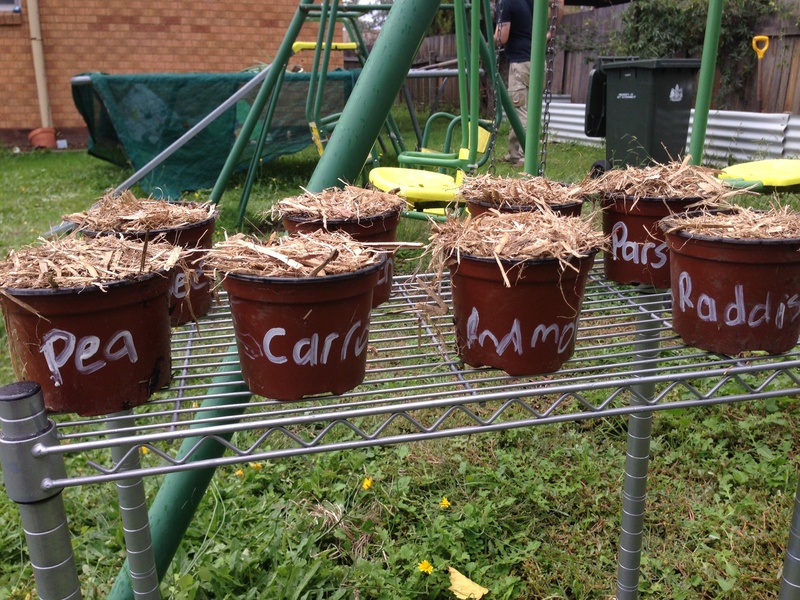 I’ve also potted up my five capsicum plants to see if I can keep them alive over the Canberra winter, I plan to build a greenhouse out of whatever I can find. It’ll probably be a shelf with some plastic over it that I find in SO’s garage. Buddy and I potted up some seeds. Whether they grow enough to be planted out before the first frost hits, is anyone’s guess. SO bought them from Aldi’s as a bit of a “Iook I’m helping you with the winter garden”, not realising that its probably too late to plant seeds, then transplant the subsequent seedlings. Oh, well, I’ll give it a red hot go. It’s only $5 spent, and Buddy had a great time. He’s planted lots of carrots, and while I wasn’t watching threw an entire packet of carrot seeds into the big garden amongst the compost and chicken mulch. How funny if we get a whole stack of random carrots popping up all over the place! We potted peas, carrots, cauliflower, English spinach, silverbeet, radish, parsnips and more carrots. I’m always excited to plant new plants out, but I’m better with seedlings. I don’t like waiting. I don’t like layby’s, I don’t like planting seeds. 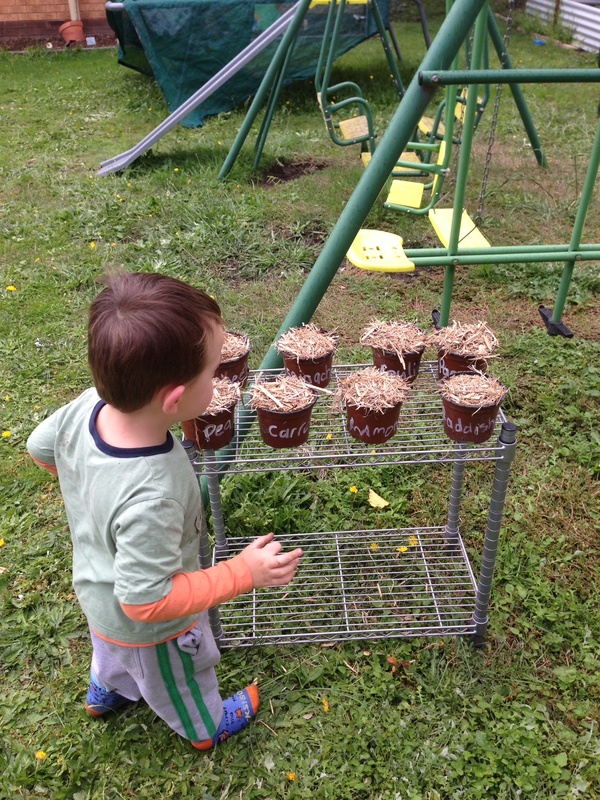 I get too impatient and will dig around to see if the seeds have germinated. Seedlings give me instant satisfaction. So there will be seedlings purchased this weekend! 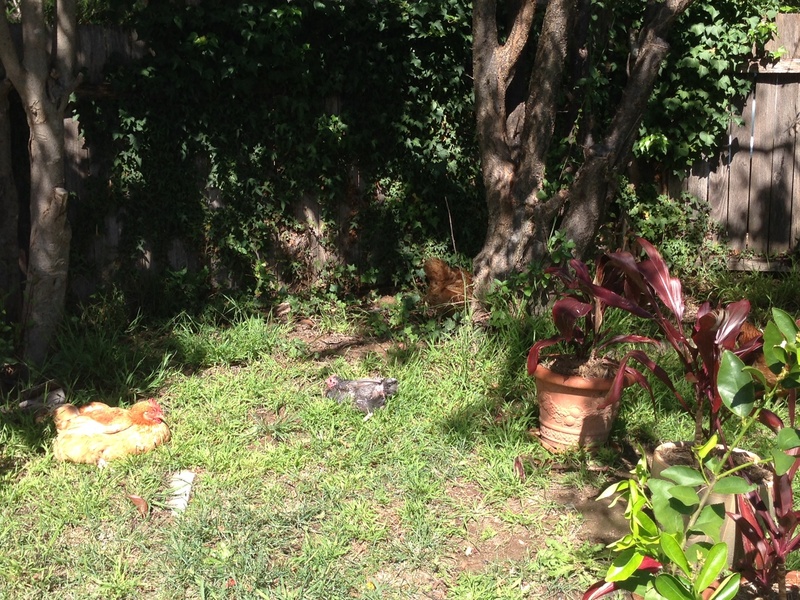 The chickens took full advantage of the first sun in a week and found the driest, warmest spot in the backyard to have a little lie down and relax. 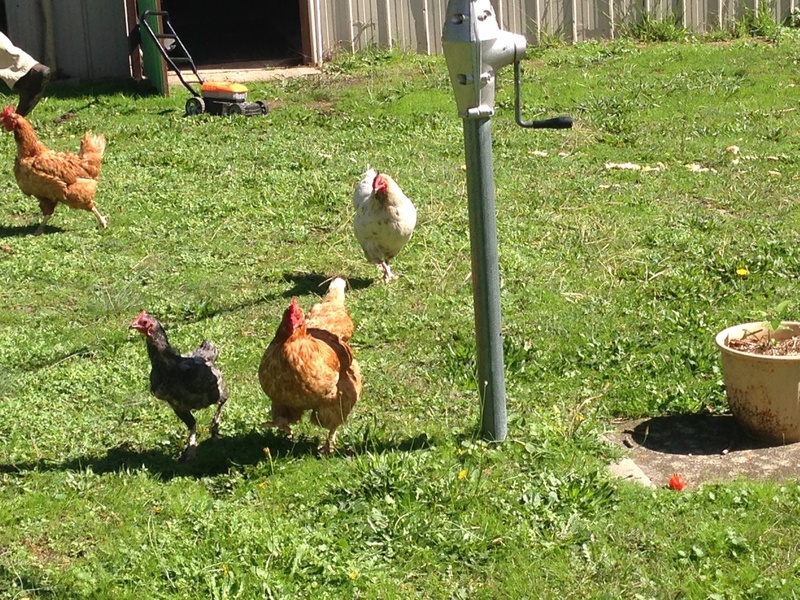 All 6 girls seem to be getting along well and we might be able to put them all into the one chook pen soon. And maybe, just maybe we might get more than one egg a day. 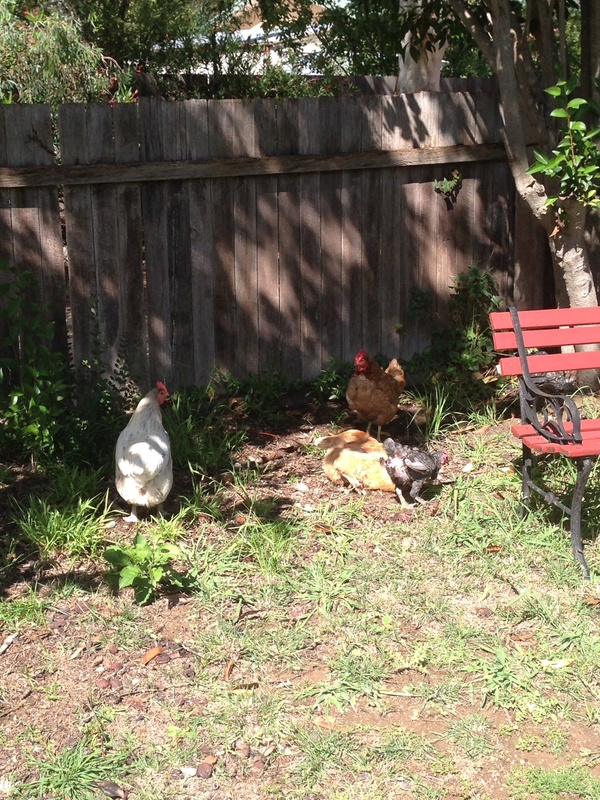 Out of six chooks!